I honestly have no words for this story other than "I literally have no words." That's how confused, thrown, and mind-boggled this has left me. I have so many questions, and no clue where to start! After reading this, you probably will do, so just be prepared for that. In a Reddit AMA today, former Game of Thrones star Sean Bean told a weird Nicolas Cage story (I realize all Nicolas Cage stories are probably weird in some way, but I mean this one was weird) that involved, I'm serious, a prehistoric cave bear skull, and a frantic burial. I cannot make this up. There is so much going on here. I mean, why did Nic Cage have a prehistoric cave bear skull?! Why did he bury it in a field after breaking it?! Did he win their game of pool?! Would he have displayed it alongside that dinosaur skull he bought last year?! WHO EVEN KNOWS? "The poolroom is sort of a prehistoric cave and it's full of fossils and the skulls of different animals," Sean recalls. "I think we both of us had a few drinks and Nic fell over and his pool cue knocked this bear skull to the ground and it smashed to pieces. "And he wanted to bury it, to return it to the earth or something but I was like: 'No, just get some glue and I'll stick it back together'." 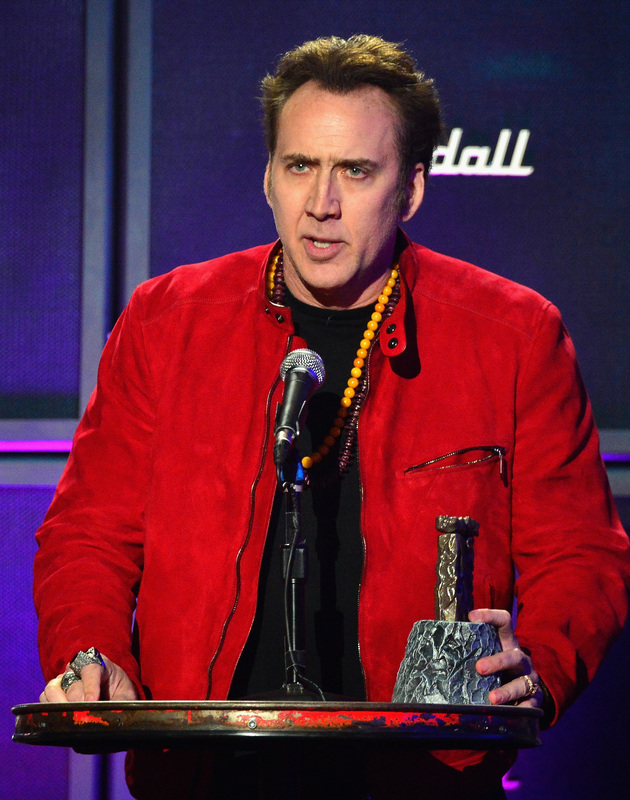 So, apparently, Cage buried it anyway. Why? We'll never know. Cage clearly operates in strange and mysterious ways.